Are you looking for a program that is both fun and educational? 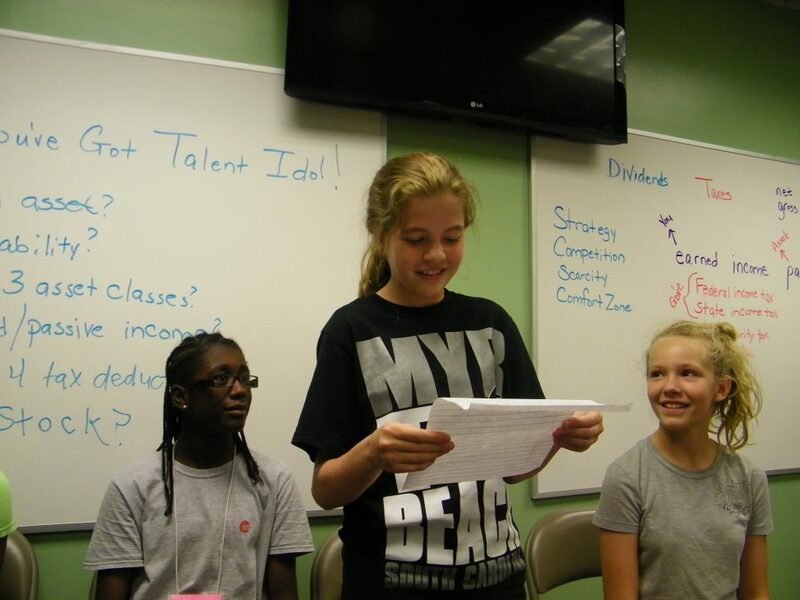 Wealthy Habits has summer camps for ages 11-19 that both you and your student will love. Our 5-day summer camps focus on what students are most interested in while providing a strong foundation of MONEY BASICS. 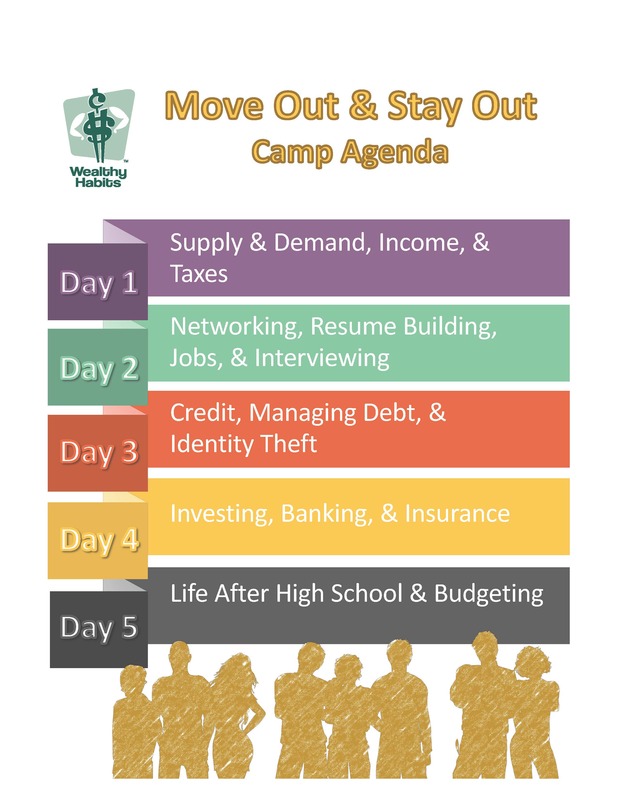 Wealthy Habits camps aren’t focused on whether a student can memorize the information and pass a test, but on changing their attitude towards managing their current and future finances while providing them with the ambition to learn more even after they have left camp. DATES: Summer 2019 runs from May 28-July 26. See Calendar for specific dates at each location. LOCATIONS: Marietta, Dunwoody, Alpharetta, Decatur, Johns Creek, Cumberland, College Park, more coming soon! EXTENDED CARE AVAILABLE: 7:30am-6:00pm. The cost is $75 for the week (partial options are not available). We Make Money Make Sense!!!! How many times have you told your child that money doesn’t grow on trees? Wealthy Habits strives to improve the mindset of the next generation. Graduates of the Real Money Real Life Camp realize the impact that learning, saving, and planning early will have on their future. Move Out & Stay Out teaches your teen all the things you wish you had learned at an earlier age. In this program, students gain necessary experience with concepts of adult independence and essential soft skills in a way that is relevant to them. Witness your child take on the real world more prepared than their peers. No prior knowledge of financial literacy is required to sign up for our programs. We cover all concepts in an easy to understand format so no one is left behind. We recruit college students to instruct the students. After extensive background checks, the college students go through a week-long training, where they learn what and how to teach your student. My child is 14 years old. Which class should I choose? Our programs are separated by age due to maturity, not knowledge level. If you feel that your student is mature and will be more comfortable with the older group, choose Move Out & Stay Out. If not, please place your student with the younger group in Money Basics. Please see the discipline policy at the bottom of this page for more help. I just picked a camp. Will I receive a reminder/ confirmation email? You will receive a confirmation email shortly after payment has been processed. You will receive a second email the week before your chosen camp begins. That email will contain all the basic information on pick-up/drop-off locations and procedures. Your student should be dropped off no earlier than 8:30am and no later than 9am UNLESS you have requested extended care. The students will take a 45-minute break halfway through the day for lunch along with periodic 10-minute breaks throughout the day. The day consists of activities, games and group projects that break up the day. No. Please provide a bagged lunch for your student for each day of camp. What is the point of Moola? What happens if my child wins? Throughout the week, your student will be competing for Moola, which serves as our monetary system. At the end of the week, the student who has earned the most Moola will win a $50 investment into an investment account of your choosing. Will my child bring home any of the course materials? During camp, your student will be given a workbook that contains the handouts and materials they will use during the week. Encourage him/her to bring it home on Friday. Students are expected to have an interest in learning the topics discussed; however, previous knowledge in personal finance is not necessary. Please be aware that students should be able to do basic math (calculators are provided) and read at the level of the group. We, unfortunately, are not equipped to support significant special accommodations. Disciplinary issues will be handled on a “three strike” policy with students being asked to leave the program at the third strike without a refund.